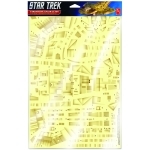 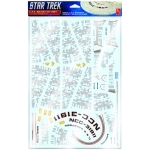 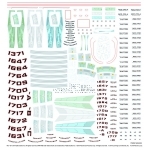 Star Trek U.S.S Enterprise Weathering Decals 1:350 Weathering decals make decorating the 1:35..
1:1000 Star Trek Supplemental Starship Decal set How Many Ways Can You Skin A Starship? 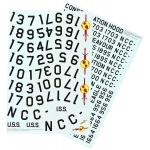 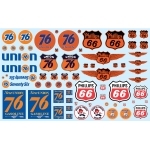 One o..
1:25 Phillips 66 & Union 76 Trucking Decal Pack Kit Features Skill 2 Deluxe..
1:1000 USS Excelsior - Aztec Decal Set Take your U.S.S. 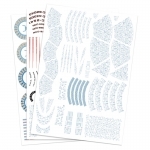 Excelsior kit to the next level with ..